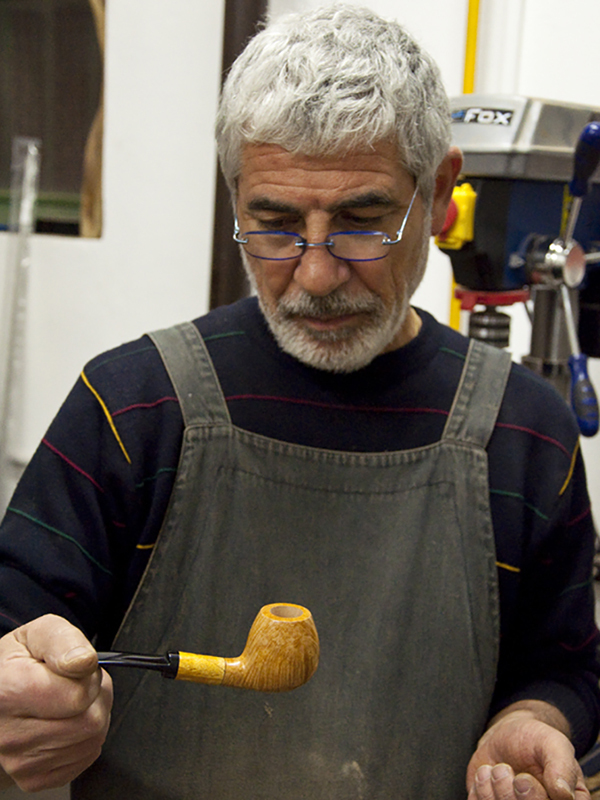 Among the excellences of the region Marche there are the artisans of pipes. Some of them are industrial manufacturers, but most of them produce actually hand-crafted pipes, often entirely “hand-made”. In the region Marche there is a real “district of excellent pipes”: prestigious brands like Ser Jacopo, Mastro de Paja, Don Carlos are well-known to everyone who loves the slow smoking, and those brands together with dozens of others smaller or bigger producers took their know-how – directly or indirectly – from the first producer of pipes in the region Marche, Non canta la Raganella. The brand was created at the end of the Nineteenth century, and became well known in the post World War II, so that many imitators and devotees spread. In Jesi, in a cross street of Corso Matteotti, under the arch Bisaccioni, there is still the workshop of Tonino Jacono, probably the most exclusive among the Italian pipe artisans: moreover, the indisputable technical and aesthetical quality of his works, Tonino is also The Artisan, in fact he underlines that he hand-crafts one pipe per day. A bit more than 300 pipes per year, completely handcrafted, from the selection of the log of briarroot (grown in the region Calabria by his father-in-law until few years ago), up to the finishing touches. 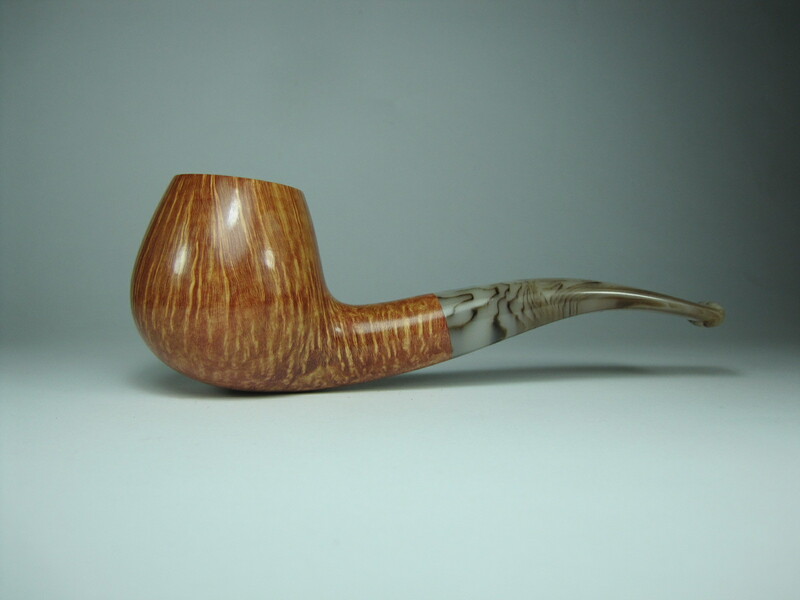 From the less expensive pipe which is named Zen (Tonino’s own invention with interchangeable chambers) to the commemorative or esoteric pipes: pipes “extracted” from the best pieces of briar-root in his warehouse, that highlight the beauty of the wood, and its most harmonious veining. “Extracted: the pipe is already in the log of briar-root”: Tonino uses these words to describe his works and I notice that also Michelangelo used the same words to describe the same concept. It is not a stretch. Tonino works the root in the same way that Buonarroti used to do with marble: the raw log gives at first sight the idea of which shape it contains, the shape is then modeled following the lines of the veining. Then sometimes when you work the wood an imperfection comes out, a smal stone imprisoned during the growth of the root, the veining turn direction and do not match with the shape that was intended. In this case, the artisan changes shape or style in accordance to the log of briarroot. The pipe was already inside the wood, you only had to remove what was around it. 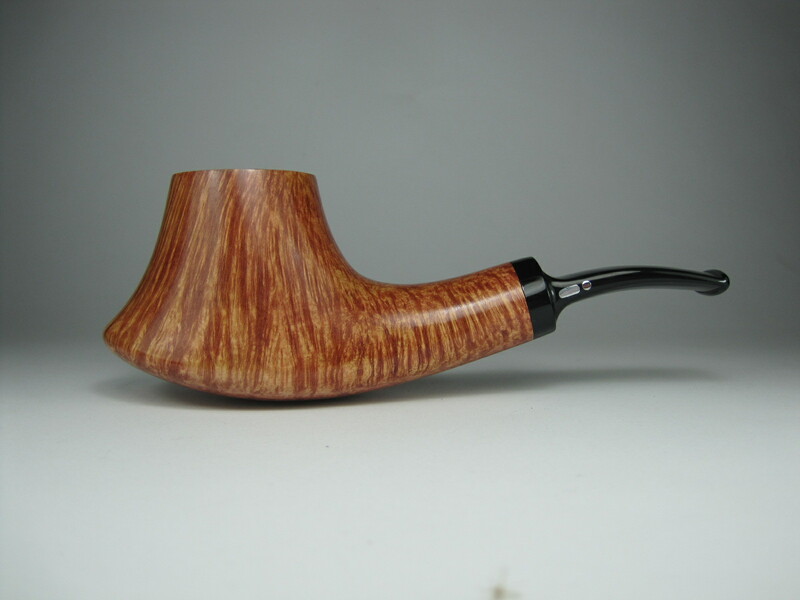 This way of working is not a problem if you handcraft the pipe and you can inspire from every piece of wood according to the features of the wood. And is not even a problem when the smoker had special needs. During the years, I managed to have a couple of pipes and accessories that Tonino created out of my drawings (in the morning after a long digestion…). 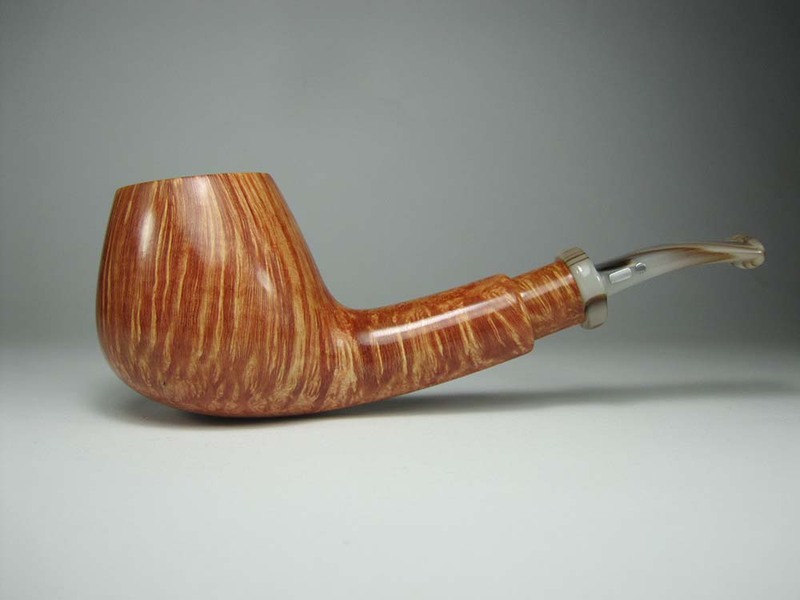 Apart from my bizarre requests, Tonino Jacono’s pipes are perfectly manufactured: an American buyer invited years ago in Milan the top five Italian pipe artisans: the smokeability of their products was well known, just like their beauty. He chose two pipes: Tonino remembers that his pipes were chosen at first, since they were the only ones that could stand on the table, even with a rounded leg. In his 30 years long career he produced more than 10.000 pipes, most of them are selected, limited, and even numbered one by one. He also took time to climb the highest active vulcanoes in the world (firstly the Cotopaxi – 5.897 meters high, and then, Ojos del Salado, 6.893 meters high). Then he crossed the Sahara desert by bike, a couple of times he ran 225 km along the track that took Pheidippides to announce the victory of Marathon, and then several season sas runner on long distances with some national medals. Slow smoking and long running, this could be Tonino Jacono’s motto. In reality, it is just two sides of the same coin: make things carefully, up to the details, it does not matter how hard and difficult.